Specially formulated for reconstruction of damaged, or brittle, or colored hair. Protects and moisturises hair. 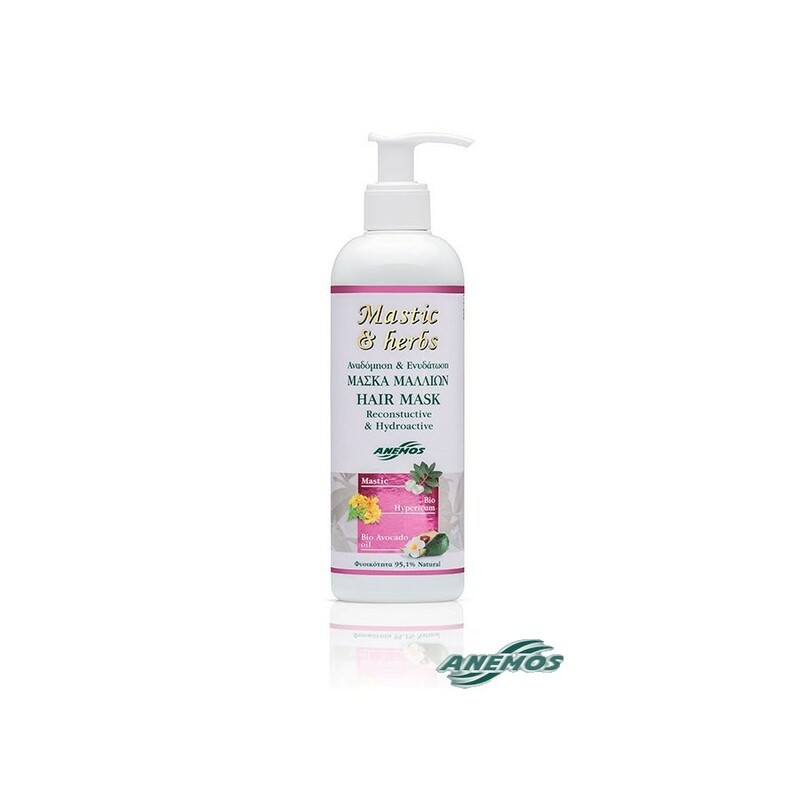 Mastic oil along with the rest of the active ingredients of this fine and effective hair mask transforms your hair into silky, strong, shiny, easy to comb hair. With UV filter for protection from the sun. Use the hair mask once a week (or more often if you like). WITHOUT: Parabens, SLES, SLS, Propylene glycol, Mineral oil petrolatum, propylene glycol, artificial colorants. With discreet, allergens free perfume. With organically grown: Olive oil, avocado oil, hypericum. Ingredients 97% of natural origin.